These loads are from a new program started by Target last December. They are some of the best hardgoods loads we have had in years. They are a mix of shelf pulls and returns, heavy on the shelf pulls. 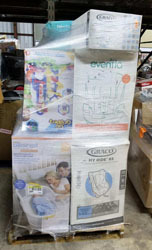 The majority of items are in the original manufacturer's packaging in good working order. Loads consists of premium category pallets and standard Gm pallets. Load cost is based on retail value. Cost is based on the retail value of the load. Load cost can vary anywhere from $8000 to over $20,000 depending on the mix of standard and premium pallets. These are semi custom orders. You can request certain product categories and we will do our best to accommodate. You can control load cost with ratio of standard GM pallets and premium categories pallets.we will help you with that. Loads currently are shipping approximately 10the days from the time of the order. The loads are direct shipped and do not make stops at any middleman's warehouse. Each pallet has a category manifest showing piece count, category summary, and retail value. The standard GM pallets have moderate retail values and cost less than premium pallets. The premium pallets have higher retail values and cost more than the standard GM pallets.They typically have higher retail more desirable products. The loads with more standard pallets cost less but have overall lower retail values. The loads with premium pallets cost more but have more premium desirable items and higher sales values. 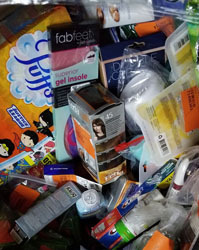 These are one of the few A grade mixed merchandise loads left on the market where premium items have not been removed for sale on retail websites. 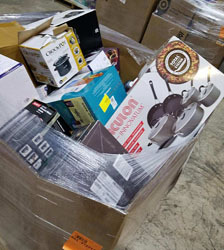 You actually get pallets packed with premium category items rather than having to sift through the pallets for a few premium items. They are different than other Target loads on the market. These are exclusive loads from target that nobody else gets. You can find other target loads on the market but not these premium pallet truck loads. We get a limited amount of these loads weekly. Once all the slots are filled up there will be waiting list that could be lengthy. There are other target loads on the market but nobody else has loads like these.